Clone Sergeant – Phase 1 is a clone trooper attacker. Let’s look at this brief guide and see what he has to offer to your team. Basic Ability: Z-6 Rotary Blaster – Deal Physical damage to target enemy with a 50% chance to gain 50% Turn Meter on Critical Hit. Unique Ability: Concentrated Fire – Clone Sergeant Phase 1 gains 4.5% Critical Chance for each living Clone ally. In addition, he has +10% Critical Damage and a 50% chance to gain Offense Up for 2 turns whenever he critically hits. 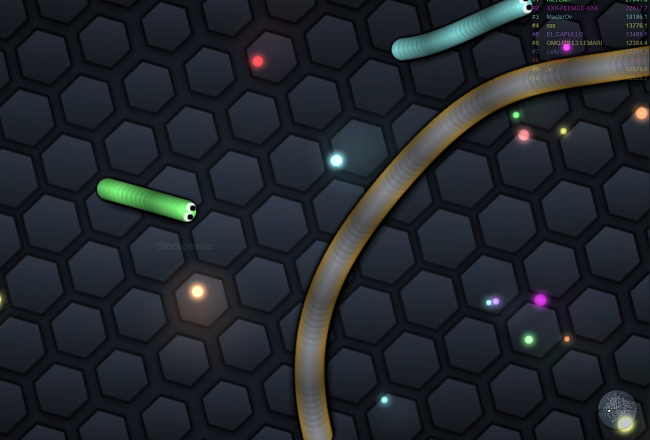 The Clone Sergeant is actually a very good in an AoE team composition. His AoE attack reduces every enemy’s turn meter by 50%. He works best in a Clone team of Plo Koon, CT-5555 Fives, with Darth Sidious as the leader for extra critical rate. His speed down debuff on the basic attack is quite useful against faster characters like Dooku. Also, most teams have Jedis, so you aren’t vulnerable to anti Jedi skills. 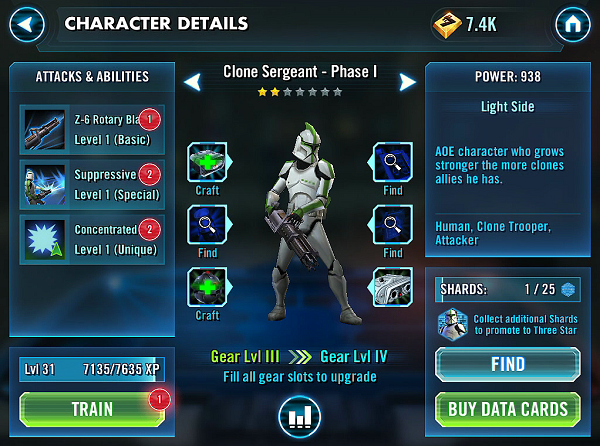 Clone Sergeant is a bit slow to farm though, so you might want to build him up if you really want a clone team. Verdict: Use him till mid-game. Gear him if you want a clone team.